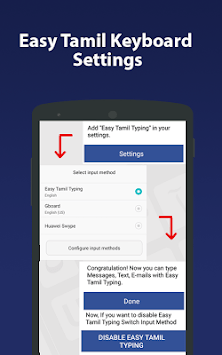 Tamil keyboard is a keyboard apps design for type Tamil which would be help in typing Tamil language. Tamil keyboard Tamil is a combination of keyboard themes with emoji that provide variety of keyboard themes in different attractive colors which allows user to change the default keyboard themes and add background pictures. Tamil keyboard Tami is the best choice keyboard with emoji for androids that come up with a variety of emoji’s for expressing feelings and emotions to your friends and family. Typing Tamil keyboard is a easy type Tamil keyboard which understands user most as compare to the simple plain android keyboard. There are 1000+ colorful themes with different attractive background wallpapers, 1000+emoji and GIFs with multiple categories, 100+ fonts and you can swipe to input smoothly with a pointer speed which can increase the speed keyboard. Tamil keyboard for typing allows user to add background picture of his choice. Typing Tamil keyboard is a easy to use user friendly typing Tamil language input tools which have variations of keyboard themes from which user can change the default theme of keyboard apps and add different color. Input method keyboard is the keyboard with emojis for androids that provide variety of emojis with different theme that can gives a great look and great user experience to user. Tamil keyboard Tamil is an easy type Tamil keyboard writer keyboard for typing Tamil language that helps user in writing Tamil books free which gives handwriting input Tamil. Tamil keyboard is a input tools which give output of handwriting input Tamil. 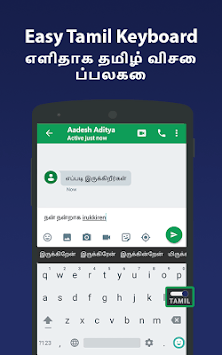 Tamil input theme works just like google handwriting input Tamil which allows user to type in Tamil language. Keyboard with emojis for androids are smileys shapes and expressions of mood used in typing apps keyboard with emojis for androids are used for expressing emotions and available in various categories including facial expressions, objects. or improve typing using your android phone. Handwriting input Tamil keyboard with emojis for androids that can helps in writing English letter Tamil books free and also write Tamil rhymes. 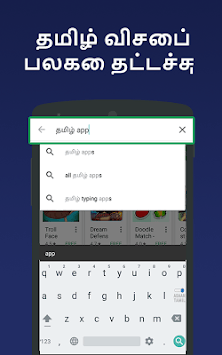 Tamil keyboard have multiple input method for type Tamil in English which is google input tool swipe typing. Tamil keyboard can use as a customized keyboard that can change the English letter keyboard size adjustment according to user’s requirement. Tamil keyboard also gives the option for swipe typing that can enhance the typing speed. Typing apps is a speed keyboard that can make typing easy and speed up the typing. Typing Tamil language is a simply keyboard that have a variation of English letter keyboard layout with different keyboard themes and size user can change the keyboard layout and keyboard themes according to his choice. Tamil keyboard for android have a input board for typing Tamil language which shows the Tamil alphabets on screen from which user would type from English to Tamil or type Tamil in English. Tamil keyboard also provide template keyboard from which user can customize it according to his choice by adding colors, keyboard style, background, wallpaper, color attractive icons. Input method keyboard display input board used as a manipulator that can improve typing of typing Tamil to English which shows alphabets on screen from which user would type from English to Tamil or type Tamil in English.